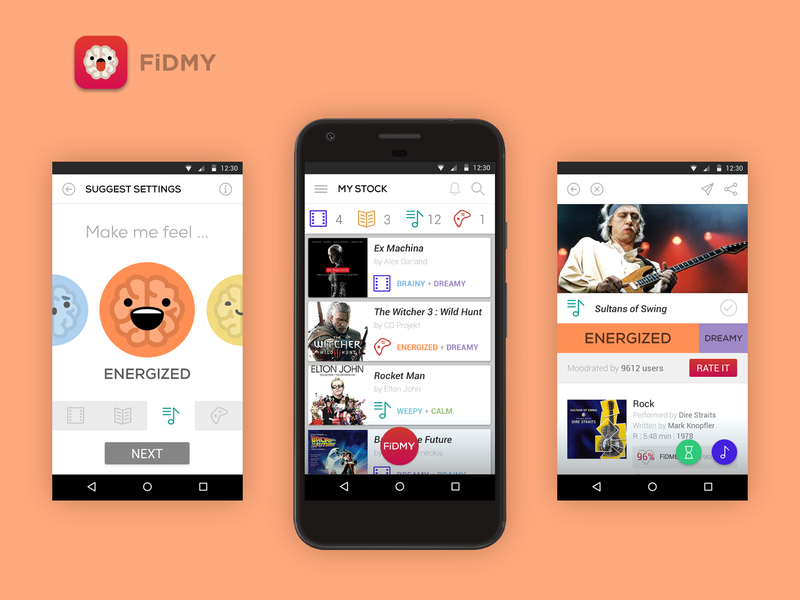 Fidmy (feed me) is a mobile application reconsidering cultural products through the prism of mood impact and therapy. It aims at developing a thinking habit for users to realise the impact cultural pieces have on their mood. 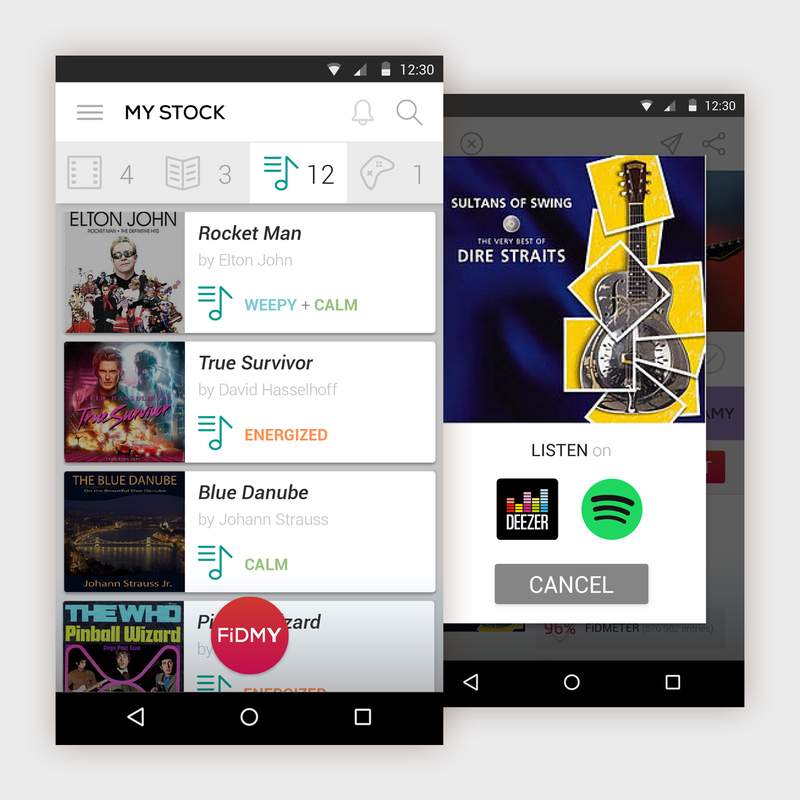 This mobile app was designed in solo in the context of my Bachelor poject at the end of my third year of Digital and Interaction design degree. It is part of a personal thinking on the consumption of cultural products. It started with the assessment that our developed countries habits have led us to grant less and less importance to the products we buy and consume. This 'massification' trend is partly due to the evolution of tools amd platforms at our disposal, as watching a movie or listening to unlimited music has become increasingly easier this last decade. I chose to focus on a certain kind of 'emotional value' that culture can bring to balance with the pragmatic aspects (price, origin, location, etc.) that can sometime determine our navigation through this compact block of products at our immediate disposal. Can highlighting an 'emotional value' contribute to guide us through the mass of cultural products ? The initial goal of this service is to provide your brain with appropriate cultural 'fuel'. 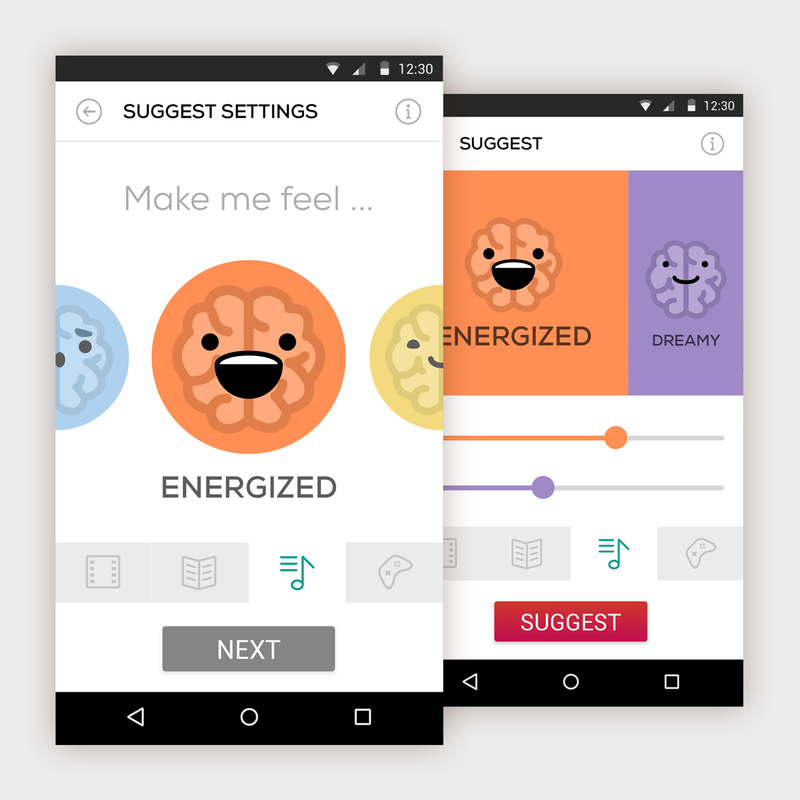 It works as a nomadic advice app which is based on a spontaneous mood rating system. Now note that the approach to moods and cultural products is designed to be very simplistic and fun. Therefore, it is not based on precise medical or scientific research. The first step of the process was to define core functions that would embody a minimum viable product. 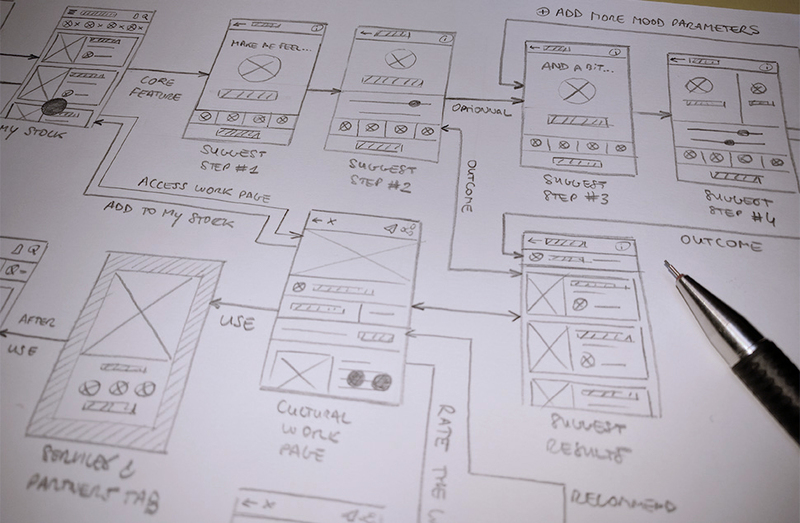 From there the wireframing of the the main screens and the definition of the user flows let me get a good grasp of what the app would look like. Having an exhaustive set of moods to combine for all cultural products is quite frankly complex. I chose to focus on having a flexible set of 7 moods I could experiment with, being fully aware of its own limitations. From there the real UI design work started. Collecting frequent and useful feedback form early user tests, I iterated on the major features to get a flow that worked properly. The intend is to create an original mood profile by using mood combinations and cross-categories selections to provide curated content. 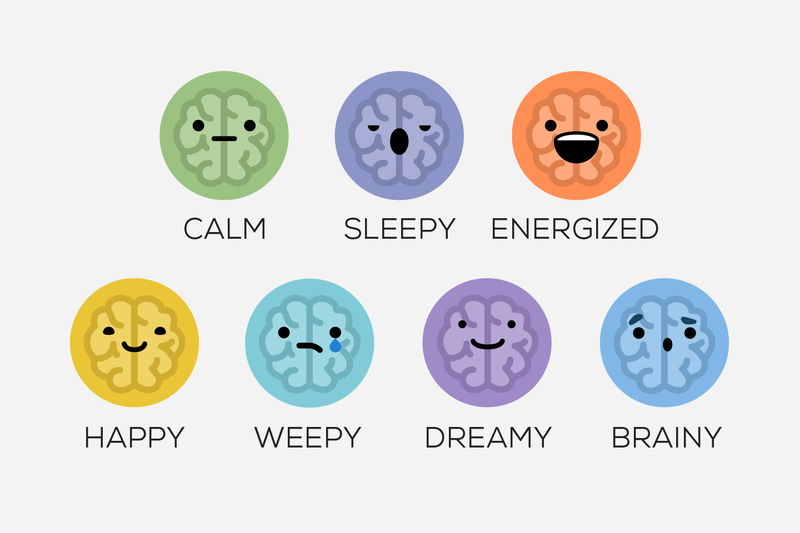 The step by step process allows to dose moods with a simple interface. Product pages include general information and the moodrating section. 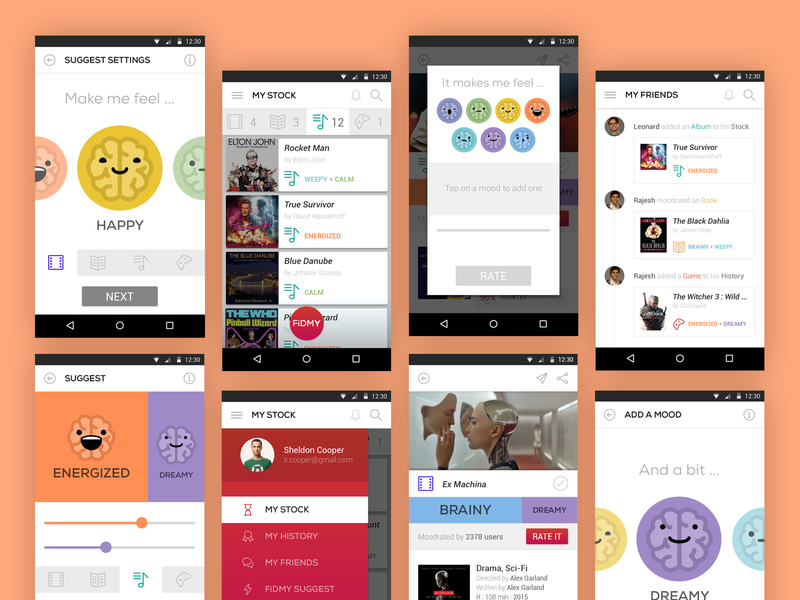 It acts as a synthesis of users ratings and gives a good sense of the moods related to the product. 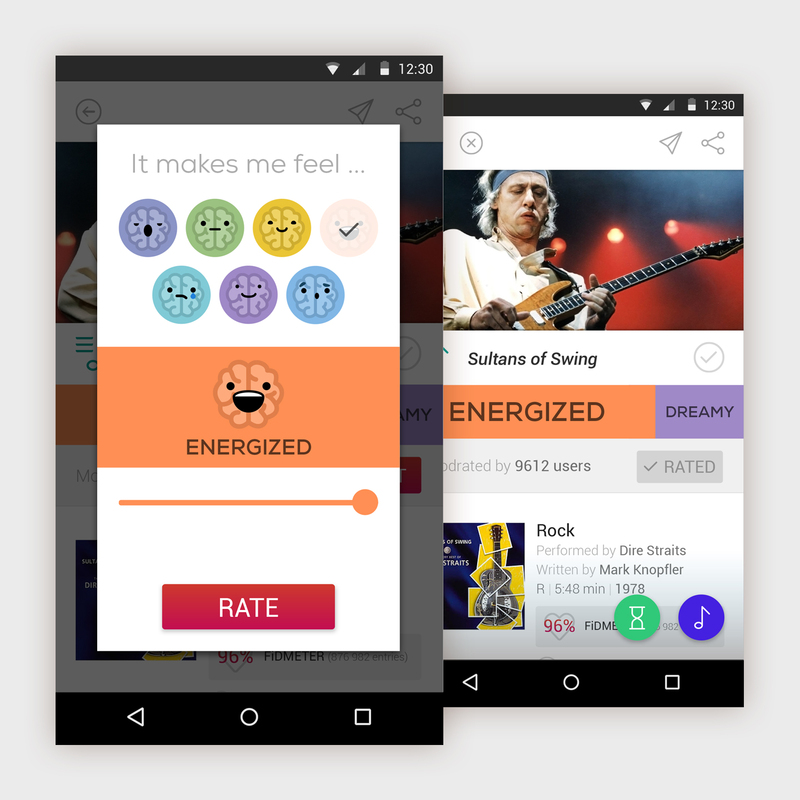 Any user can submit a custom mood rating via the rating interface. 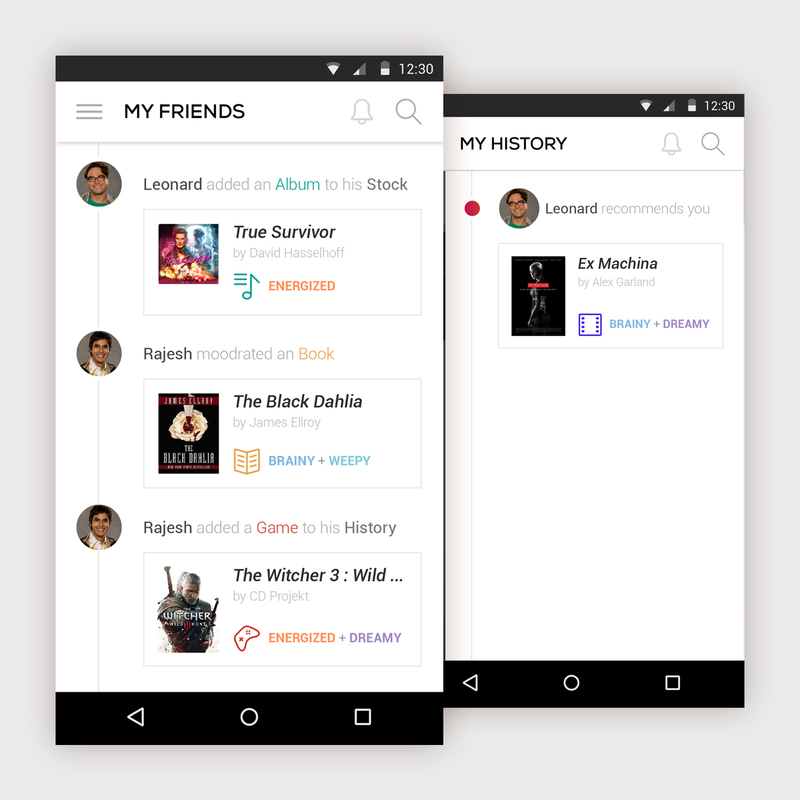 The FiDMY app is also a great way to organise and keep track of your cultural consumption. The Stock section gives a clear overview of the works you have stocked for later use, including category filters. Quick access functions let the user access platforms and services synchronized with the app (such as VOD providers, music streaming services, etc. ), or stock it for later use. The social component plays a key role as it lets users share and recommend products to their friends, see their activities, and debate directly about their favourites. 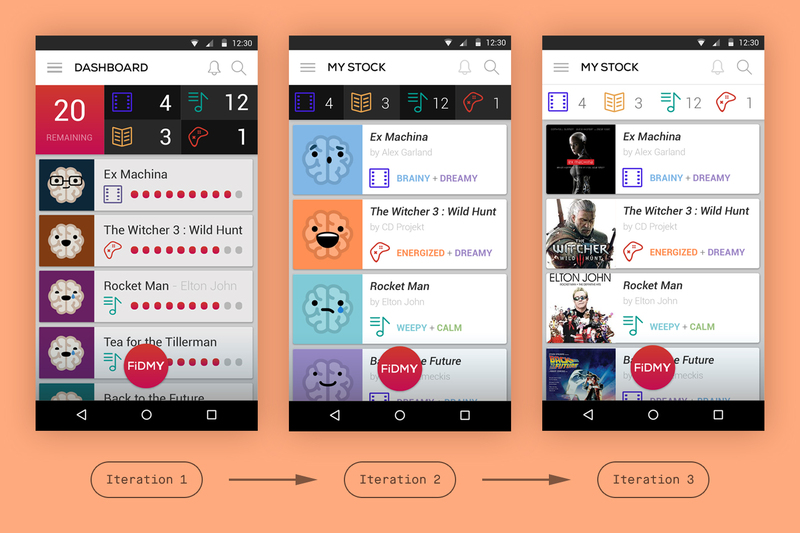 Early user tests and the final Invision prototype helped me get a good sense of what the app would look and feel like. The project was not intended to become more than a concept but having a functional prototype made of a few screens actually helped me gather a few feedbacks that granted it a certain viability. There surely is a lot of improvements to be done as it remains a student project, from the need of an onboarding experience to initiate users to more elaborated rating and sharing features, but I feel like it has been an interesting approach to a problem that more and more people tend to realise after trying the prototype.